RIT will host an information for prospective graduate students on Feb. 7. 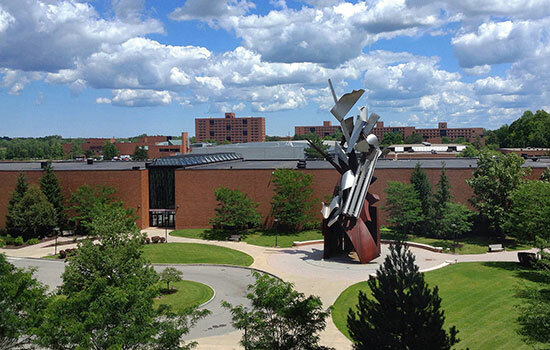 Rochester Institute of Technology will host an information session about graduate study options from 5 to 6 p.m. Wednesday, Feb. 7. The event takes place in the MOSAIC Center on the second floor of RIT’s Student Alumni Union and will be hosted by RIT’s Office of Graduate and Part-time Enrollment Services in collaboration with the Multicultural Center for Academic Success. Facilitated by RIT Graduate Admissions Assistant Director Phil Bradley and a current graduate student, Jordanae Smith, attendees will be provided an insider’s view on what is important to consider when applying to graduate school. Attendees will also gain high level information on graduate level programs at RIT. Free pizza will be served.